Ginkgo biloba extract. It is an antioxidant that mitigates poor blood circulation. It is typically used to improve memory, but has also been shown to slow the progression of vitiligo as well as stimulate hair growth. Additionally, antioxidants have been linked to reducing oxidative stress, which has been associated with cancer, other diseases, and aging. 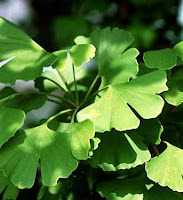 Ginkgo biloba extract can be found in supplement form at your local grocery store. The extract may be more beneficial to those seeking hair regrowth -- for example in the temples or the nape where hair loss was suffered -- than for those seeking to increase their growth rate.